Within some Industrial processes, the presence of Hydrogen when occurring at high temperature and pressure make plant and systems susceptible to damage caused by the onset of a phenomena known as Hot Hydrogen Attack (HHA). This reaction can cause industrial plant to suffer catastrophic failures leading to not only expensive repairs but also extensive loss of production. In the past several techniques have been used with limited results. AEA Sonomatic have developed a series of procedures featuring the latest advances in Ultrasonic imaging and data processing techniques in order to give operators what they need to carry on for plant utilization with confidence. This paper will explain the particular approach applied by AEA Sonomatic and detail the methodology required in order to achieve results which are recordable, reliable and able to give repeat results with a confidence required by modern plant operators. The presence of Hydrogen in industrial plants is a source of damage. Hot Hydrogen Attack (HHA) is one such form of degradation which is due to the formation of Methane (CH4) by reaction with carbides in steel. HHA can occur either in the parent material or in the weld itself and manifests itself in several types of alloys. The probability of HHA damage in plant is dependent on the partial hydrogen reassure and operating temperature. Methane formed by the reaction accumulates at internal voids on the grain boundaries, where at certain conditions the build-up can produce micro-cracks. In the weld material this leads at the worst case to a leak before break situation but when the damage is in the parent material, the result can be catastrophic. HHA can be detected in a number of ways but the reliability of some of the techniques is questionable. However advances in signal processing and imaging in the techniques described here lead to a far greater level of confidence in both the inspection results and the repeatability which is a great advantage for the monitoring of the damage. 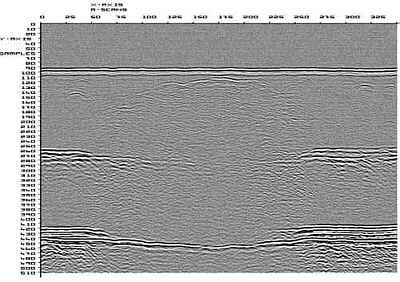 Attenuation measurements have certain inconsistencies which have been realized during on site work. The methods assess the sound attenuation in the material but in most cases the lack of "fingerprint" information make it unreliable. Micro-sampling is carried out to observe if there are any decarburisation or micro-cracking. Statistical analysis has been carried out which shows that HHA predominantly occurs within the material and not in the area of interest. This methodology developed by Sonomatic combines advanced signal processing and imaging of the results in the Microplus system, utilizing advanced techniques like Time Of Flight Diffraction (TOFD), Seescan (Thickness mapping). These are used in conjunction with the pulse-echo back scatter and velocity ratio measurement techniques. A combination of the pulse-echo back scatter and the velocity ratio measurement techniques is adopted. Pulse-echo back scatter technique is based on the detection of the back scatter received from the micro-cracks. With this technique 100% scanning of the surface is possible. Velocity Ratio measurement on the other hand is used as a cross-check based on the principle that the longitudinal and transverse sound velocities are affected by HHA. By measuring with both sound propagation modes and the use of an advanced algorithm the percentage of attack can be measured. In this process, a differentiation between small inclusions and HHA is also made. Seescan a thickness mapping utility (fig.1) in the AEA Sonomatic's Microplus system combines conventional ultrasonic practice with the technology of miniature Charged Coupled Device (CCD) video cameras to provide a simple and yet highly effective method of recording thickness data. Colourographic presentation of data provides easier understanding and a clearer picture of the extent of damage than compared to conventional systems. With Seescan it is possible to accurately read out the actual wall thickness in digital form which allows its usage for both back scatter and velocity ratio measurements. To detect micro and / or macro cracks induced by HHA, the advanced ultrasonic TOFD technique (fig.2) is used. With this technique it is possible to detect macro-cracks easily. Micro-cracks although detectable, discriminating them with other weld defects could cause a few problems. However the establishment of a base-line data allows further monitoring of even the micro-cracks. Welds that are inaccessible to TOFD are inspected using the back-scatter technique. For these the weld caps are ground off and a base-line survey is carried. Velocity ratio measurements are then used to cross-check in a similar manner to the inspection of the parent material. TOFD differs form conventional Ultrasonic inspections as it is based on time of travel (flight) of sound in a material and uses the Diffraction phenomenon that occurs at a flaw tip. This makes defect detection independent of orientation thereby increasing the Probability of Detection. In its usual form two probes are placed on opposite sides of the weld (fig.2). The longitudinal sound beam can encounter obstacles on its path, which produces reflected and diffracted signals. When the probes are moved parallel to the weld, the resultant wave forms are digitized, stored in an optical disk (floppy etc.) and displayed as a gray scale image (fig.3) on the screen. A sample TOFD data of Hydrogen damage is depicted in figure 2. The approach in the field would involve scanning of various critical locations over a length of 250mm. Once a detection survey has been carried out, the results of the survey are stored on floppy or laser disk. The data collected serves as the reference measurement. Measurements taken at a later date are compared to monitor the growth (if any) of the Hydrogen damage. Under site conditions an accuracy of 1mm can be achieved. The inspection has high reliability and reproducibility. It is possible to predict attack at an early stage. The progress of attack can be monitored. Clear presentation of results is possible with the Microplus system. Through sectional views can be created to assess the micro-crack distribution. Examination is non-intrusive, resulting in cost and time savings. All geometry can be examined due to the versatility of the Microplus system. All data are stored for easy and quick reference at any time in the future. The need for reliable inspection techniques and the inherent accuracy of advance ultrasonic techniques make it the ideal choice for the inspection of HHA. Also the consistent performance of the method in various projects around the world has resulted in tremendous cost savings to clients. Trimborn N., Hot Hydrogen Attack - The AEA Sonomatic approach for detection and monitoring of Hydrogen damage, Internal Draft Procedure, Feb. 1995. Wedgwood F.A., Non Destructive Methods for Surveillance of changes in material properties and material damage, Proceedings of the International conference held in Glasgow, UK, 30-31 August 1993, Pergamon Press, pp 185-188.